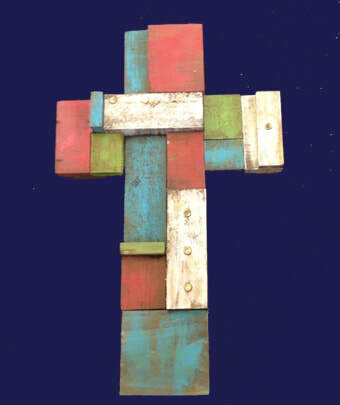 Make an amazing 35cm cross using different shaped wooden blocks, You will design your cross, paint & stain it to a rustic aged finish then assemble it ready to hang. This is a solid piece and would look great hanging in any decor space. This is a 4 hour workshop and the cost is $60 all materials supplied. A $40 deposit is required to secure your space in this 2 day class. In case the of cancellations and no shows your workshop fee is non refundable however we are happy to transfer the fee to another class providing we get at least 48 hours notice prior to the start of the class. If we need to cancel the class for any reason such as sickness, small numbers or any other unforeseen circumstances we will schedule an alternative suitable date.